The Manfrotto 410, an excellent tripod head I wish I had got much sooner. Compared with my other tripod heads I have used for landscape work (Manfrotto 322RC2 and a Vanguard GH-100) the Manfrotto 410 is easily the best tripod head I have used for landscape photography as you have precise control and fine adjustments for composition and levelling of the horizon, especially when using the electronic horizon level on the Canon 5dMKIII as a guide. Both the Manfrotto 322 and Vanguard are good tripod heads and I never had much problems with them except for occasional slippage when the camera was in the vertical position, both these tripod heads have tension control but even at the tightest setting, slippage would sometimes creep in, but more so with the Vanguard GH-100 which seemed to get worse the more I used it. Not reliable enough when doing very long exposures in the vertical position, perhaps a lighter camera and lens other than the 5dMKII/III and 17-40mm f4.0 L combo would work better for vertical orientation on these heads. The Manfrotto 410 junior geared head is an absolute joy to use, I never have to worry about any slippage while in the vertical position with my Canon 5dMKIII and 17-40mm L or indeed any of my heavier lenses including the Canon 70-200mm f4.0 L and Canon 400mm f5.6 L, and having precise control over elevation, panning and side tilt makes composing my images easy. The Manfrotto junior geared head comes with the MN410PL Plate which I keep attached to my 5dMKIII; I also bought a spare plate to keep permanently attached to my Canon lens tripod mount ring when using my 70-200mm f4.0 L or 400m f5.6 L lenses. The plate is rather large and protrudes slightly from the base of the 5dMKIII body. The only minor niggle so far, is the quick release knobs can seem a little stiff at times, but this may be due to some of the freezing cold weather the tripod and head endured in the Scottish highlands. I’m thinking about buying the Manfrotto 410 Junior Geared Tripod Head to use with the 5D MK III. And I notice the tripod head doesn’t allow you to tilt the camera back 90 degrees, so you can point the camera straight up. 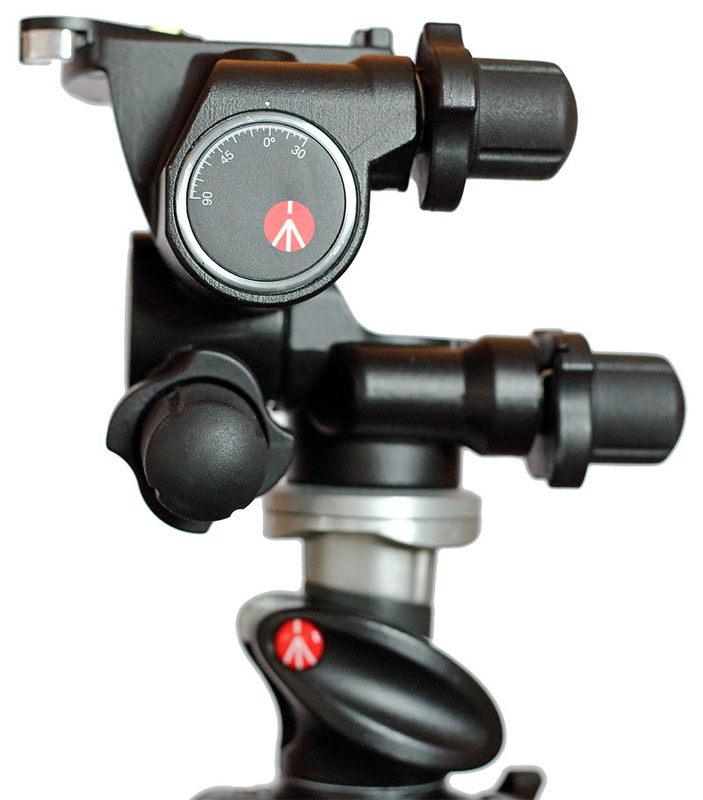 My current Manfrotto head is like this, so I have to mount the camera the “wrong” way 180 degrees on the plate/head. My question is, if I did the same with the Manfrotto 410’s supplied camera plate, would it interfere with the battery compartment ? The camera mounting screw isn’t central on the plate, usually the “long” end (which is curved) points away from the battery compartment, switching it around, would cause it to be pointing towards the battery compartment. The photo on this site shows the head https://www.manfrotto.co.uk/410-junior-geared-head The normal alignment would have the back on the camera next to the bubble level. But, I’d need to mount it with the lens over the bubble level. Thank you. Sorry for the delay in my reply to you, unfortunately the comment you left on my post had gone through as spam on my blog, which I have only just checked now. Anyway, I noticed you got the required information regarding the head from FM forums, which I also visit from time to time. Hope you got the required adaptor/plate for the Manfrotto and everything is working well for you.